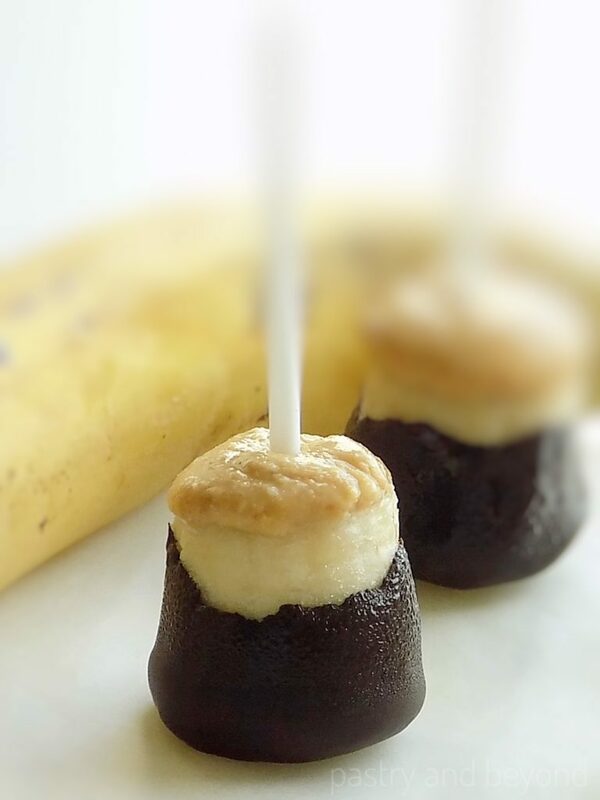 If you love banana and peanut together, you should try these refreshing healthy frozen banana bites! 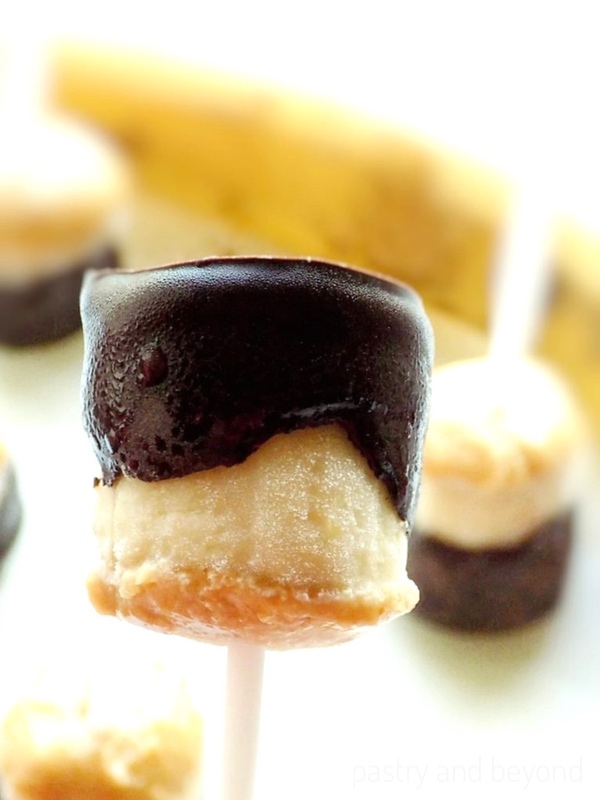 Today I am sharing my yummy chocolate covered frozen banana bites with peanut butter. 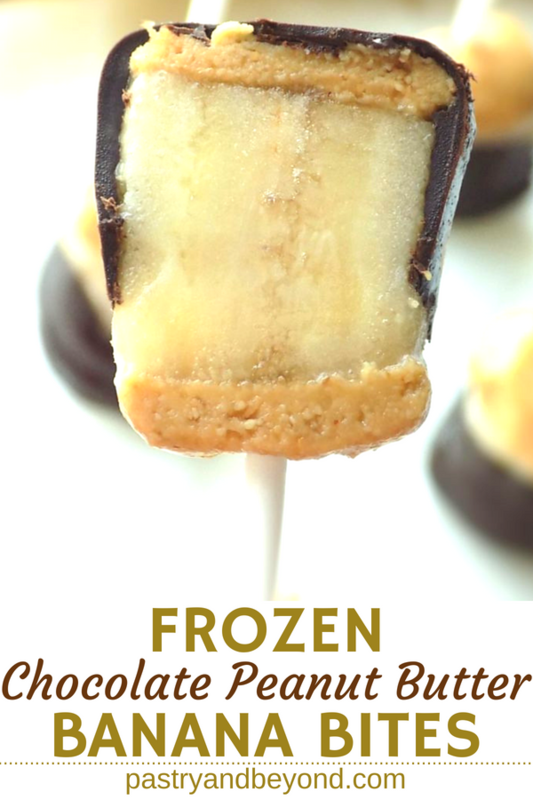 These frozen snacks are healthy, so easy to make and refreshing. 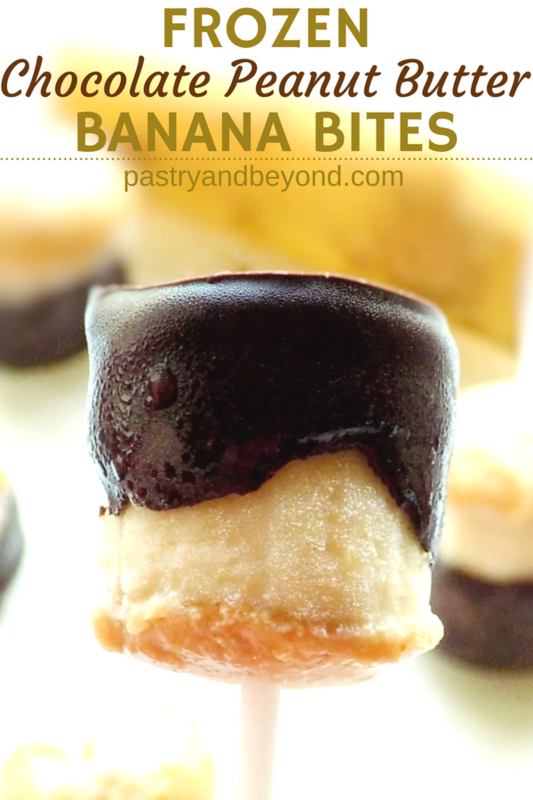 You need to slice the bananas, cover the two sides with peanut butter and dip into melted chocolate. 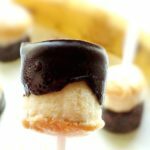 These frozen banana bites are perfect treats not only for summer but any time of the year! I use my healthy homemade peanut butter. As the bananas are too sweet, I don’t add honey to my peanut butter. But I have to say that I love banana, peanut butter and honey all together a lot. If you haven’t tried my banana peanut butter overnight oats yet, you should make them soon. They are so delicious and very filling. 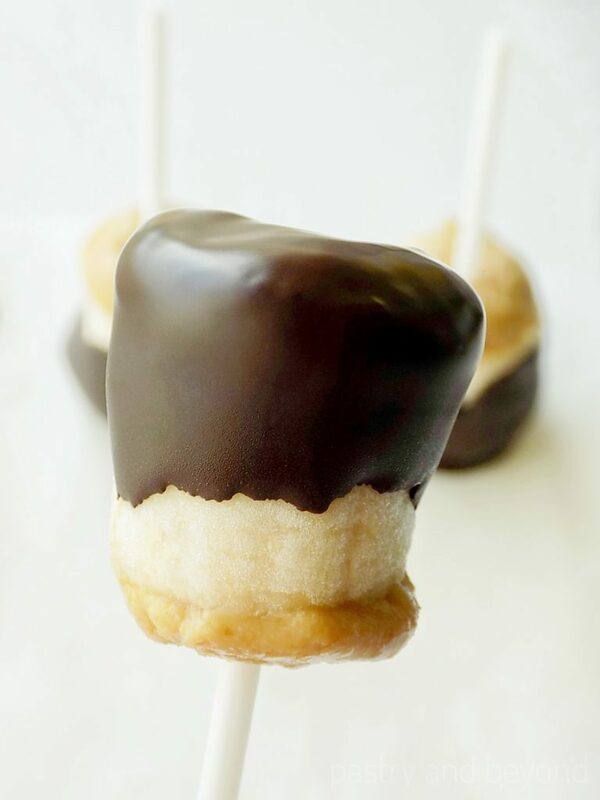 But now, let’s see how I make these chocolate covered frozen banana bites. First I slice the bananas almost 1 inch thick(2,5cm). Then I cover 2 sides of the bananas with peanut butter. I use almost 1,5 teaspoon of peanut butter to cover a slice. If you like you can cover only the top of the banana. But I advise you cover two sides as I dip the bottom side to chocolate and chocolate-peanut butter combination is so good. After I cover the slices with peanut butter, I place them on the parchment paper. Then I insert the lollipop sticks, making sure that they don’t reach to the very end of the slices. Later I keep the slices in the fridge until the bananas and peanut butter are frozen for almost 2-2,5 hours. 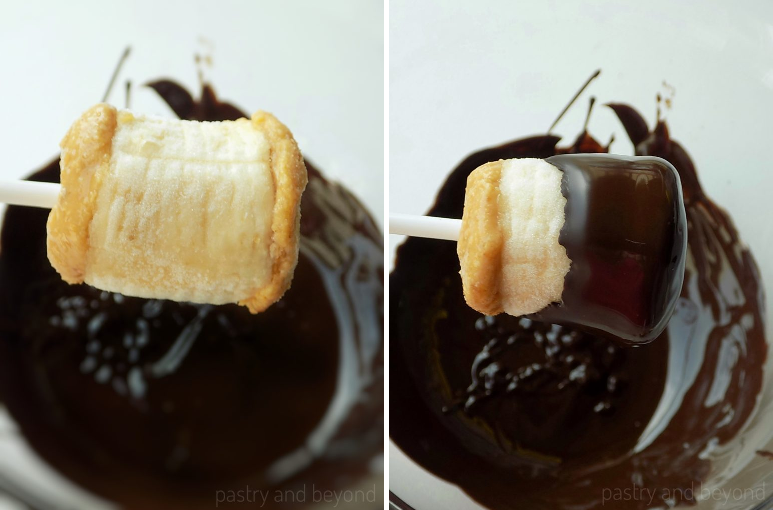 When the bananas are frozen, I melt the chocolate over bain-marie. I put the chopped chocolate into a heat proof bowl that sits over a pan of simmering water. Then I stir the chocolate often until totally melted. Sometimes I melt the chocolate in the oven at 210°F (100°C). Again, I place the chopped chocolate into a heat proof bowl. I check the oven often and stir when it starts to melt. If there are some pieces not melted, I continue melting in the oven and stir again. I remove the bananas from the freezer when the chocolate is just melted. I gently remove the bananas from the parchment paper. If the peanut butter gets soft and the bottom of the peanut butter sticks to paper, you can easily remove the slices with the help of a knife. It is very easy to stick it to the banana’s bottom again in 2 seconds. I dip the bites into melted chocolate, gently tap the sticks on the side of the bowl to remove the excess chocolate. As the bananas are cold, the chocolate sets hard quickly. You can eat them immediately or keep them in the fridge until it is all frozen again for almost 2 hours. Don’t forget that bananas become soft very easily so remove these bites when you are ready to eat. 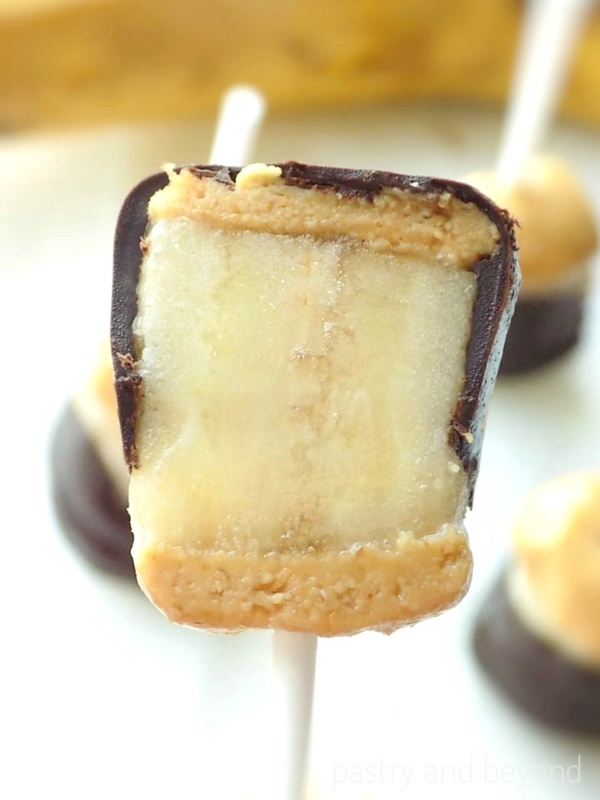 If you love banana and peanut together, you should try these healthy frozen banana bites! Line a small baking tray with parchment paper. Set aside. Slice the bananas almost 1 inch (2,5cm) thick. 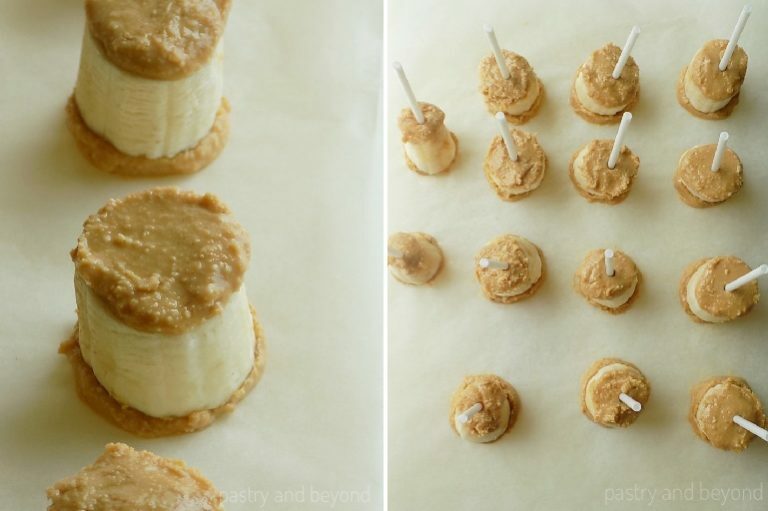 Cover the top and bottom of the slices with peanut butter(almost 1,5 teaspoon in total). 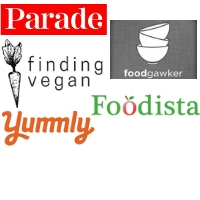 Place them on the parchment paper. Insert the lollipop sticks, making sure that they don’t go to the very bottom. Keep in the freezer for 2,5 hours, until the bananas and peanut butter are frozen. When the bananas are frozen, melt the chocolate over bain marie: place the chopped chocolate into a heat proof bowl that sits over a pan of simmering water. Stir often. Remove the bowl from the heat when melted. 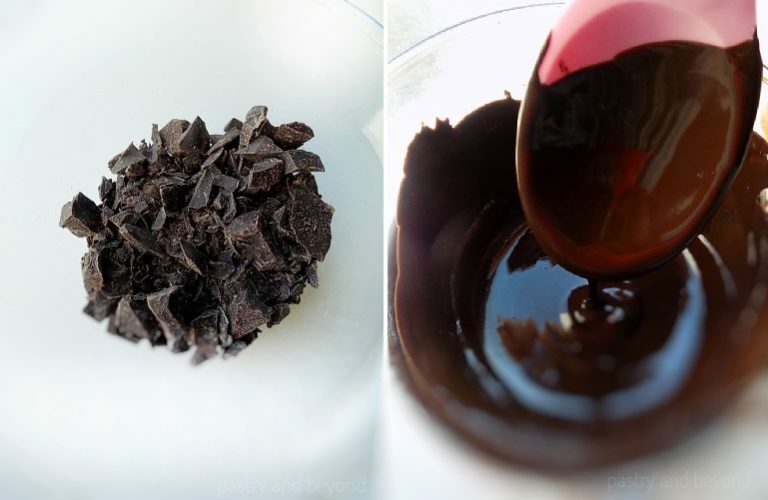 Alternatively, you can melt the chocolate in the oven at 210°F (100°C) by placing the chopped chocolate into a heat proof bowl. You should check the oven often and stir when it starts to melt. If there are some pieces not melted, continue melting in the oven and stir again. Remove the bananas from the freezer and gently remove the bananas from the parchment paper. If the peanut butter gets soft and the bottom of the peanut butter sticks to paper, it is very easy to stick it to the banana’s bottom again with a knife in 2 seconds. Dip the bites into melted chocolate and gently tap the sticks on the side of the bowl to remove the excess chocolate. You should keep in the freezer for extra 2 hours or until the bananas are frozen again. Bananas become soft easily so remove the bites from the freezer when ready to eat. *You can make your homemade peanut butter easily. I made my homemade peanut butter without honey for this recipe as there is enough sweetness coming from bananas and chocolate.